• Developing a thorough understanding on how CC will impact the EU islands located in different regions of the world. • Contributing to the improvement of the economic valuation of climate impacts by adopting revealed and stated preference methods. • Increasing the effectiveness of the economic modelling of climate impact chains, through the implementation of an integrated methodological framework (GINFORS, GEM-E3 and non-market indicators). • Facilitating climate-related policy decision making for Blue Growth, by ranking and mapping the more appropriate mitigation and adaptation strategies. • Delivering accurate information to policy makers, practitioners and other relevant stakeholders. 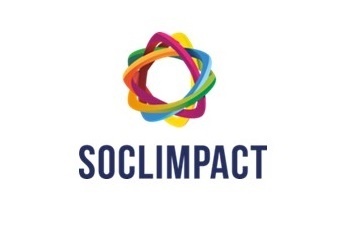 SOCLIMPACT addresses completely this Work Programme providing advances in the economic valuation of climate-induced impacts, and in climate and economic models, allowing downscaled projections of complex impact chains, and facilitating the resilience capacity of these vulnerable lands. UNIVERSIDAD DE LAS PALMAS DE GRAN CANARIA (Coordinator); INSTITUTO TECNOLOGICO DE CANARIAS S.A.: UNIVERSITAT DE LES ILLES BALEARS; CENTRO TECNOLOGICO DE CIENCIAS MARINAS; UNIVERSIDAD DE CASTILLA LA MANCHA; INSTITUTE OF ECONOMIC STRUCTURES RESEARCH; TOURISME TERRITOIRES TRANSPORTS ENVIRONNEMENT CONSEIL; AGENCIA REGIONAL DA ENERGIA E AMBIENTE DA REGIAO AUTONOMA DA MADEIRA; CYPRUS INTITUTE: THE ENERGY, ENVIRONMENT & WATER RESEARCH CENTRE; NATIONAL OBSERVATORY OF ATHENS; OSSERVATORIO SUL TURISMO DELLE ISOLE EUROPEE; ANCI SARDINIA; AQUABIOTECH; UNIVERSITA TA MALTA; INTERFUSION; BUCKINGHAMSHIRE NEW UNIVERSITY; AGENZIA NAZIONALE PER LE NUOVE TECNOLOGIE, L'ENERGIA E LO SVILUPPO; ECONOMICO SOSTENIBILE; UNIVERSITÉ DES ANTILLES; E3-MODELLING IKE; BALTIC ENVIRONMENTAL FORUM; ALMA MATER STUDIORUM – UNIVERSITÀ DI BOLOGNA; FONDAZIONE CENTRO EURO-MEDITERRANEO SUI CAMBIAMENTI CLIMATICI; FCiências.ID; GOETHE UNIVERSITY OF FRANKFURT; REGION OF CRETE.